Across the United States, the story is the same: demand for affordable housing far exceeds supply. Some agencies are forced to choose the cheapest materials in the interests of housing the greatest number of people. We see an opportunity here. By investing in sustainable features, affordable housing sites can save money on utility costs -- especially energy -- and improve the health of residents. 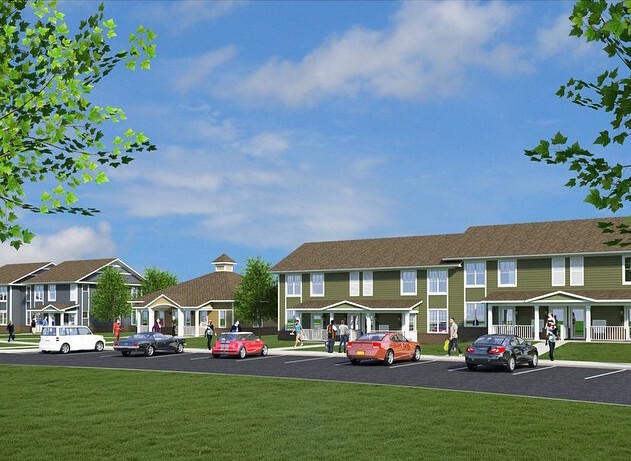 To test out this idea, the Ecology Center is assisting the Ann Arbor Housing Commission with two new affordable housing projects that are intended to be model examples of green and healthy residential construction. The project will take place from spring of 2014 through late spring or summer of 2016. The two proposed building sites will repurpose land in Ann Arbor currently being utilized by the AAHC. The existing buildings, which are primarily single-family detached homes, will be replaced with higher density attached townhouse-style units, adding more units to AAHC’s portfolio and more healthy, green homes for people who need them. In addition, this project addresses the question of “What is quality affordable housing?” and how we can better serve residents and communities. Following the success of earlier programs, such as the Environmental House demonstration center and the Michigan Renewable Schools Program, the Center’s Green and Healthy Homes program is showing how we can maximize energy efficiency and cost effective energy investments, reduce or eliminate toxicity, and integrate highly durable materials into affordable homes to benefit residents and communities. Campaign organizer KT Andresky is a seasoned activist and a Detroiter who has lived in the shadow of the incinerator for over a decade. “The thing I’m most excited about is that this is an opportunity for me to do right by my own community,” Andresky says.